Should you choose far infrared, or near infrared? Or how about full spectrum? Does it matter what it’s made of? Or how it’s wired and powered? And how can you make sure you don’t choose the wrong one? If those few questions have brought you out in a cold sweat, don’t worry! I’ve spent countless hours researching and comparing infrared sauna rooms from different manufacturers across hundreds (and very nearly thousands) of websites to create a comprehensive guide, which you’ll find right here on my site, all in one place. “Why would you do that? !” I hear you cry! Well, if truth be told, a little while back I made the mistake of rushing my research and ended up making an awful and very costly decision when I first bought an infrared sauna - and I really don’t want anyone else to make the same mistakes as I did. Plus, I had to rectify my mistake ... which meant I really needed to learn everything there was to know about the subject so that I could make an informed decision for my next purchase. Since I had all that research just knocking about, it seemed sensible to share it - hence you’ll find here the knowledge I’ve gathered over more hours than I’d care to quantify! 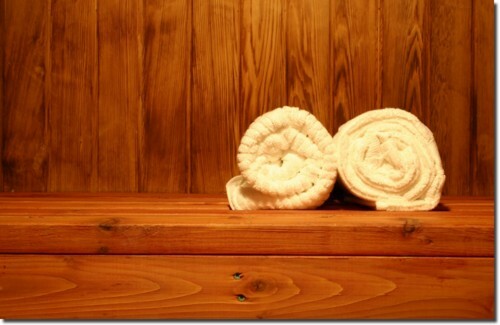 What’s the difference between a conventional sauna and an infrared sauna? And when it comes to infrared, what’s the difference between far infrared, near infrared and full spectrum? And how exactly do they work? It’s also important to understand the differences between the types of infrared heaters that are available, how they work and what they’re made of - and why that matters. More and more studies are being carried out to test the health benefits of infrared therapy, which are proving to be wide ranging and pretty extensive. The technology behind this special type of heat therapy can help to improve skin conditions, relieve muscle and joint pain, cleanse the body of harmful toxins, increase metabolism to promote weight loss, improve circulation and benefit the immune system - and all of this within a special type of heated environment that is less uncomfortable than the traditional ‘dry’ heat of a conventional sauna (Well, technically speaking, it's not a heated environment as such, but that will quickly become clear as you explore my site). I’ve brought together the key health benefits, and explained exactly how this relaxing therapy can make such a positive contribution to such a wide range of physical (and even some mental) ailments. How many times a week should you do a session? How long do you need to make your session to achieve maximum results? What’s the correct temperature to set an infrared cabin to? On this site, I’ve explored all of these questions and more, so you’ll be able to find all of this key info right here at your fingertips. As with all forms of health therapy, there are of course some things to be aware of to ensure you operate the equipment safely, and that your health is not unduly compromised so you don’t end up causing more harm than good. It is possible to become overheated or dehydrated in an infrared sauna, so it’s useful to familiarize yourself with the signs of either of these conditions so you can prevent them before they become a problem. Maybe you've heard alarming voices about cataracts associated with infrared waves, depending on the wavelengths. You'll find more background on this when you explore my site further. There are also some medical conditions and certain types of medications which may be negatively impacted by using an infrared sauna, so it’s really important to make sure you’re aware of these so you can make an informed decision about whether or not this therapy will be the right choice for you. But you’ll be pleased to know, I’ve done the research on this too - so you don’t have to go far to find the answers! Alongside these key questions you’ll find plenty more info across my website to help you understand everything you need to know about the topic. All of the information here has been put together from the perspective of an independent individual (me!) who wanted to find and buy the best deal possible. Before I started, I definitely wasn’t an expert (as my poor early choice of sauna proved!) 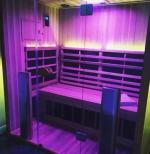 - but I have turned into a bit of an infrared geek now, so I’m confident that you’ll find everything you’ll need to be able to make an informed decision about the very best infrared sauna for you.